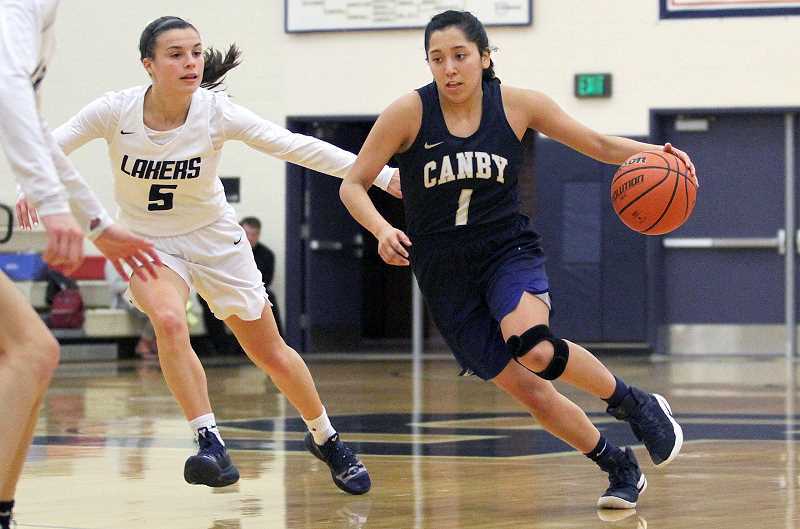 Friday night's Canby at Lake Oswego girls' basketball was so close, so competitive and featured so many big plays that it was almost a shame to let it end. At least not for a long time anyway. 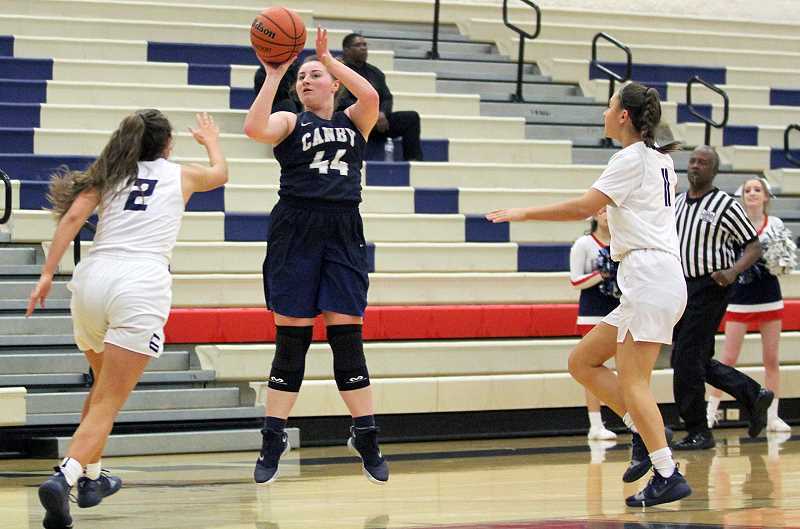 The Cougars and Lakers battled for nearly 2 1/2 hours on Friday, fighting their way through three overtimes before Canby finally edged away to win 77-75 at Lake Oswego High School. "I really feel like we emphasize (playing the full) 32 minutes, but we also emphasize not losing our composure and keeping it together and I feel like everybody stepped up and took care of the ball and pulled it off," said Canby junior post Nicole Mickelson, who led all scorers with 33 points on 11 of 28 shooting from the floor (including three 3-pointers) and an 8 of 14 day at the line. "We've been emphasizing just finishing, putting all 32 minutes together," said junior guard Naarai Gomez, who added 11 points of 4 of 5 shooting from the floor (including one "3") and 2 of 2 foul shots. "I think what kept us in this game was really just our heart and passion." With the win — the Cougars' second straight in OT — Canby improved to 2-4 in Three Rivers League play and 6-11 overall. The Lakers, meanwhile, fell to 1-5 in TRL play and 4-13 overall. While disappointed with the loss, the Lakers were proud of how they'd played and glad to have experienced Friday's three-overtime epic. 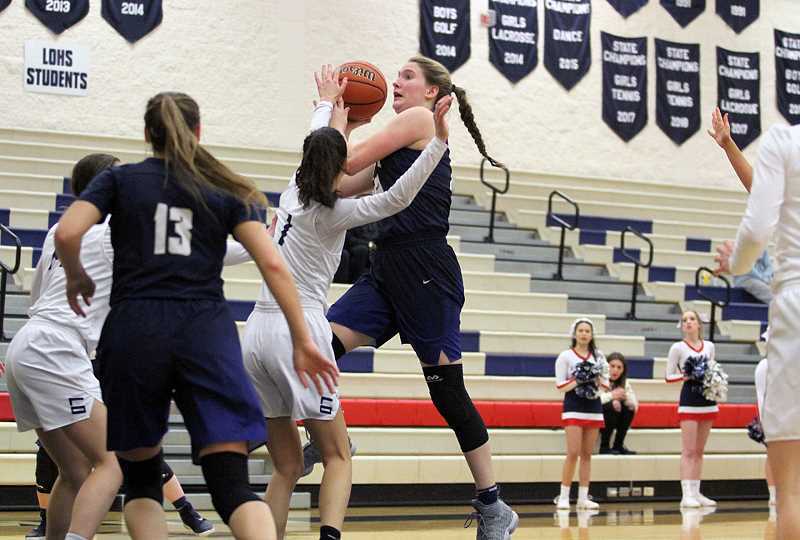 "I've never been experienced something like that," said Lake Oswego senior Katy Gilbert, who led her team with 28 points on 7 of 17 shooting from the floor and an 11 of 14 day at the line. "It was just so much fun to play, and everyone just played so well together." "I've been in a game with two overtimes, but never three. It was interesting," said Lake Oswego sophomore guard Janie Ruttert, who added 15 points on 7 of 14 shooting from the field and a 1 of 4 day at the line before fouling out. "I just wish I could have played the last overtime." Friday's game was a back and forth affair the whole way through, with Canby leading 14-6 at the end of the first quarter, the Lakers battling back within 24-21 at the half and Lake Oswego leading 37-36 at the end of three periods. The Lakers pushed their lead to 40-36 on a Gilbert "3" at the start of the fourth quarter, and from there, the final 19 minutes of play — the last seven minutes of the fourth quarter and 12 more in the three OTs — featured eight ties and 11 lead changes, with neither team leading by more than three points in that stretch. Here's the highlights from the fourth quarter and three overtimes. Canby's Zoe Thompson took a Gomez pass and hit a 3-pointer to give the Cougars a 50-47 lead with 47 seconds to go in the fourth quarter, but Lake Oswego's Taylor Anders answered with a three-point play on the ensuing possession to force OT at 50-50. In the first overtime period, Mickelson saved the ball as it was going out of bounds and threw it over her shoulder to teammate Ally Odell for a basket and a 59-57 lead, while Thompson added one foul shot that gave her team a 60-57 edge with 43 seconds to go. Undaunted, Gilbert came back with a 3-pointer from the top of the key 15 seconds later that set the table for the second OT at 60-60. The Cougars pulled ahead by three points twice in the second overtime, the second of those at 70-67 on an Odell foul shot with 16 seconds to go — but again, Gilbert responded, burying a "3" on the ensuing possession to tie the score at 70-70 and set up the third and final OT. The Lakers then got a Gilbert drive and a Megan Woolard 3-pointer for a 75-74 edge with 1:41 left in the third OT, but LO wouldn't score again. Odell tied the game with one free throw on the next possession, and after a pair of Laker misses and a turnover, Gomez knocked down two free throws with 20 seconds left for the final 77-75 margin. 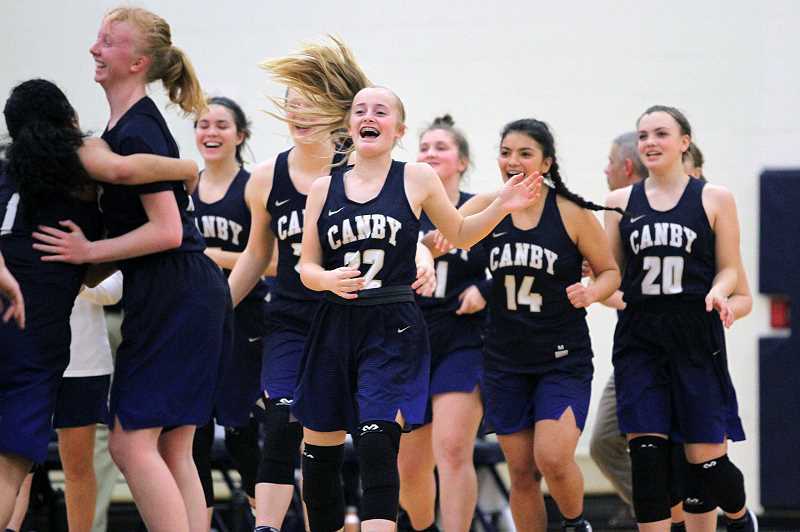 The Lakers' final shot by Kate Anders was off the mark, Sydney Baurer rebounded the miss for Canby and the Cougars — finally — escaped with the win. "We've all really wanted to get on a winning streak again really bad," Mickelson said. "I feel like that played a really big part in it, but I've got to give credit to the girls who really held it together. They had a great attitude and mindset." "Our whole team, we play for one another and know that every one of us wants to win so badly because we're devoted to each other," Gomez said. "It was just so back and forth, credit to them," Gilbert added. "They played a great game." Odell finished with 16 points in the win for Canby, while Anders added another 14 for the Lakers. Next up, Canby hosts St. Mary's at 7 p.m. Tuesday, while Lake Oswego plays at West Linn at 7 p.m. Tuesday.